Mardi Gras Flutes Set of 6 (P/N TG571). 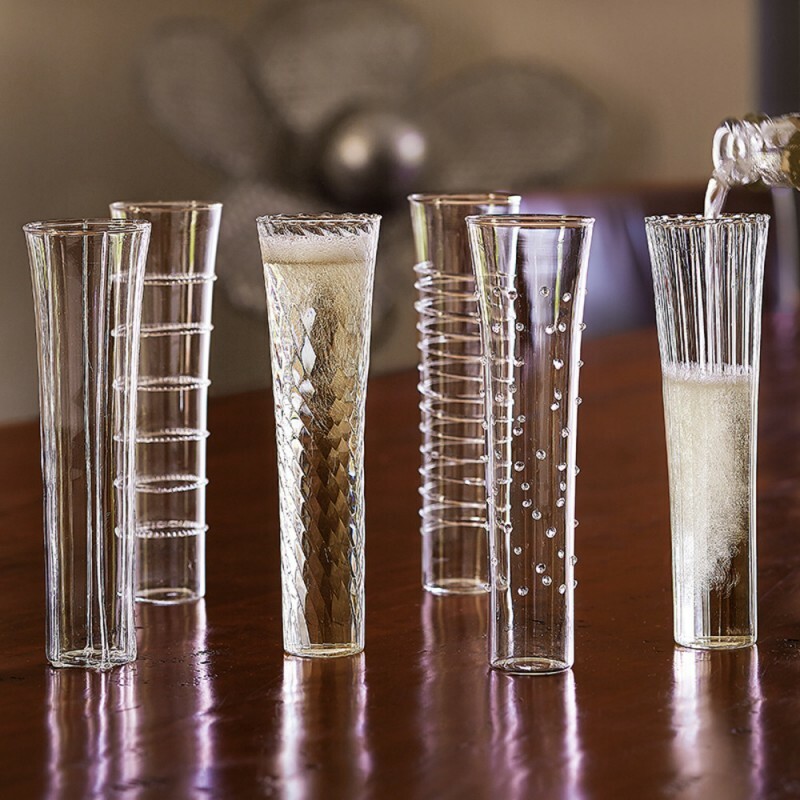 Made from hand-worked borosilicate glass, these textured flutes will add sparkle and personality to any party. Each flute in the set features a unique pattern, including stripes, dots, and swirls. These flutes are light and delicate, specifically designed for special toasts and celebrations. Accent your table with color and style with our all-new Mardi Gras hand-made flutes.